Caldeco Air Conditioning & Heating provides best-in-class air conditioner service and repair to residents and business owners throughout Central Florida. Our AC repair services are highly-rated on Google and other home service review sites, and we are a current and 6-time winner of the prestigious Carrier President’s award for demonstrating outstanding sales, service, support and more. If you are in need of air conditioner service or repair, you can count on the team of NATE certified technicians from Caldeco Air Conditioning & Heating to handle all of your heating and cooling needs. Our technicians are highly experienced and professional, and they will show up on time for your scheduled appointment equipped with all of the tools, parts and equipment needed to complete most common AC repair services. If you’d like your AC unit to run efficiently and last as long as possible, consider signing up for one of our hassle-free AC maintenance programs. Each program offers different benefits and potential cost-savings and may include 15% off parts and service, priority scheduling, no overtime charges and much more. View our AC maintenance options now for more details. For those in need of a new or updated AC unit, we can help. Not only are our Carrier installations backed by a 1-Year, 100% Satisfaction Guaranteed Warranty, but we also offer financing opportunities with approved credit. Apply for the Carrier® credit card now and learn if you can enjoy low-interest financing. 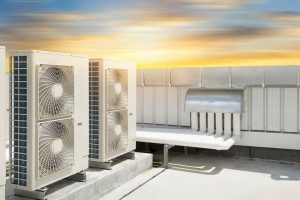 If you need to schedule air conditioner service at your property in Clearwater, Brandon, Temple Terrace, Pebble Creek, Wesley Chapel or elsewhere throughout Central Florida, contact Caldeco Air Conditioning & Heating today to schedule a service call or inquire about any of our top-rated services. We are Tampa’ Hometown Experts, and we look forward to serving you!